As a former corrections officer and prosecutor, I cringe whenever I read about someone dying in prison or jail. Many of these deaths, especially those of recent arrestees, are preventable. To many people die in jails around the country each year because of poor medical care. Tonight we share another tragic story. 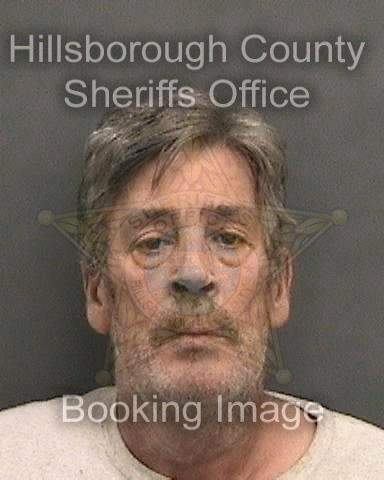 Sheriff’s officials in Tampa, Florida are investigating the death of a 62 year old male who had just been arrested for drunk driving. Few details have been released to the public. What we know is that Lewis Harrington II was arrested on Friday for driving under the influence. Because he was allegedly already on bail for another drunk driving incident, his earlier bail was revoked. On Saturday afternoon Harrington was taken to the jail infirmary for detox. Two hours later he was found unconscious and unresponsive. After paramedics were unable to revive him, he was transported to a hospital where he was pronounced dead. The Tampa Bay Times said his blood alcohol content was allegedly .162 at the time of his arrest and was .264 at the time of his previous arrest on October 18th. The Hillsborough County Sheriff’s Department is conducting an investigation into Lewis Harrington’s death but we have little faith that such an investigation can be trusted. Letting the sheriff’s department investigate itself is not wise. This is especially true since the agency could have millions of dollars of liability. Detoxing from alcohol isn’t easy. In fact. If the patient is a severe alcoholic, the detox process can be life threatening. Yet across the United States, hundreds of alcoholics are placed in “drunk tanks” each day and left to detox on their own. We have no inside information as to whether Lewis was an alcoholic. That he had two back to back arrests for drunk driving and both with high blood alcohol contents suggests a real drinking problem. A problem that could be fatal if detox is handled incorrectly. There are three stages to alcohol withdrawal. In the first stage, the patient experiences anxiety, nausea and abdominal pain. The anxiety can result in suicide attempts if particularly severe. The first stage usually begins about 8 hours after the last drink. The second stage involves high blood pressure, confusion and in severe cases, cardiac problems. The second stage typically begins after 24 hours and can be fatal. Patients with severe alcohol addiction issues should be monitored during withdrawals, something that most jails are ill equipped to do. The third stage involves fever and seizures. We don’t when the time Mr. Harrington had his last drink or if he was even suffering from withdrawals. It would certainly explain his untimely death, however. People going through severe withdrawals need professional monitoring and medications. The attitude at many jails, however, is to let people “sleep it off.” Sometimes, however, those patients never wake up. We cannot imagine the pain and horror suffered by Lewis in his last few hours of life. Away from family. Alone and locked up. And suffering horrible withdrawal symptoms, we suspect. Nothing will bring Lewis Harrington back. We want to ensure that no other person or their family has to suffer a similar fate. If you or a family member denied medical care in jail resulting in serious injury or death, call us. We can help expose the wrongdoers and file a federal lawsuit against everyone involved for compensation and to make sure it never happens again. CALL 866.836.4684 or Connect Online for a no-cost legal consult to learn your rights.